It was a long time coming for fans to finally see a dynamic / moving coil transducer based IEM from Etymotic, a company that always holds true to the principle of neutral and analytical sound. For MSRP of $79, the new MC5 is not only the lowest in the company’s current lineup of products, but also the cheapest ever as well (*partially thanks to the fact that moving coil transducer is generally much cheaper than balanced armature). 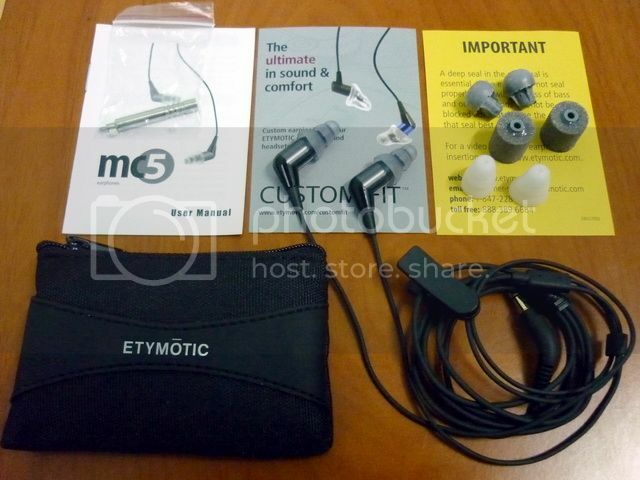 However, Etymotic certainly doesn’t want people to mistake it as any other moving coil IEM when they proclaim the MC5 as ‘best in class under $100’. Judging from the press material and patents involved, it does seem Etymotic has put in some real research hours to get the sound ‘just right’ to fit into their house sound. Consider that the ER6i, which is also named ‘best in class under $100’ when Etymotic lower the MSRP to $99 recently, has been sold around $70 on the street for quite some time now, the real question is: Is MC5 an improvement? Packaging is simple but up to date. It is a good thing for Etymotic to move away from the blister pack on ER6i to the easy-to-open paper box. Accessories are fairly abundant, including a pair of small tri-flanges, a pair of regular sized tri-flange, a pair of mushroom like glider foam tip, a pair of normal Etymotic foam tip, one filter exchanging tool, one pair of extra filter and a decent soft pouch. As an Etymotic user for 6 years now, tri-flanges is not a problem for me at all. But if you are new to tri-flanges and find it stiff and scratchy, here is a trick to make it more comfortable: Apply a little bit of baby oil on the flange where it makes contact with skin (but not on the stem of the tri-flange). This will help to break in the tri-flanges and soften the silicone. Be sure not to overdo it though. 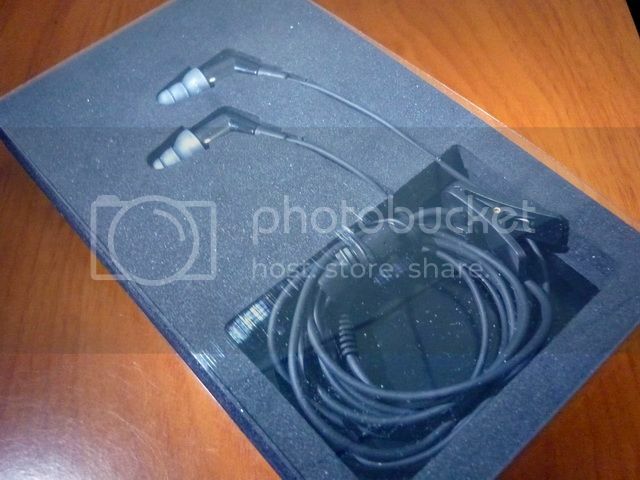 Personally I’ll recommend a pair of Shure Black foam (olive): It can be used without modification, practically lasts forever, gives a slightly better bass response than silicone eartips and absolves the little harshness on the upper vocal region. If you do use Shure however, be careful on removal as new pair tends to stick to the nozzle more tightly and require just a bit more patient. Whether you are using the tri-flanges or foam tips, one thing can be certain is that the isolation will be top-notch. 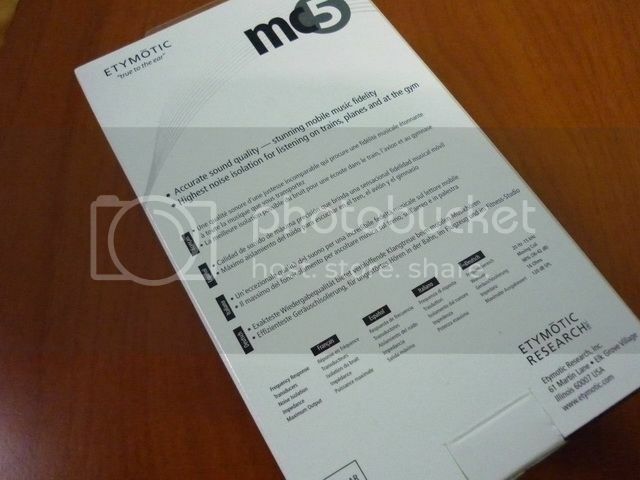 MC5’s build quality is some of the best I have seen on Etymotic’s IEM. The design is simple but solid: Less stuff that can go wrong while at the same time it doesn’t look outdated like the ER4 series nor has the odd angle like the HF series. The new Kevlar reinforced cable is a good improvement over that of ER6i’s, which is thin, often harden over time and crack if not carefully used. The only complain about the cable is microphonics. Unfortunately wearing the MC5 over-the-ear is not easy at all, but the included shirt clip does cut down most of microphonics below it. There is still some cable noise coming from the shirt clip up to the earpiece, but as long as you keep the shirt clip as close to the Y-splitter as possible and make sure to clip the shirt clip on a higher position on the shirt so the cable can free-flow under your ears, microphonics shouldn’t be a big issue. All in all, I find the build quality and overall package to be among some of the best in the sub$100 category. 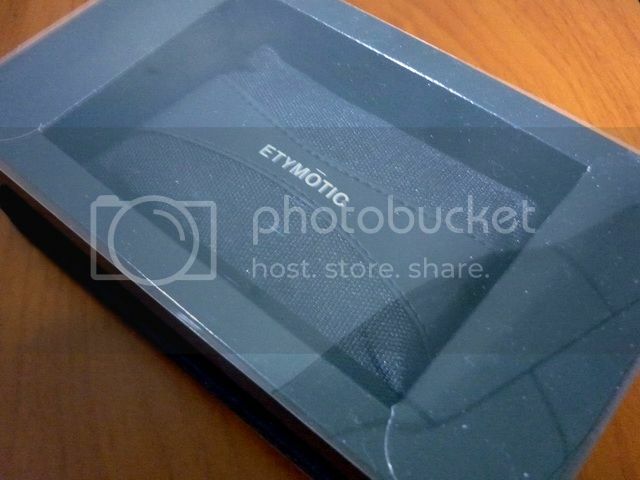 Best of all, Etymotic is providing a generous 2 years warranty to back up the MC5, and this is from a company known for good customer service. As a standard procedure, the IEM had been burn-in for 50 hours before the review. While moving coil transducer is usually thought to be more susceptible to burn-in, I didn’t find the sound being affected by the process or may be it is just too subtle to tell. In my previous ER4P / ER4S review, I summed up the Etymotic house sound as “analytical and bright, fairly neutral while slightly on the thinner and colder side, tight and impactful bass that isn’t quantitatively large, resolving and fast which are very typical of BA based IEM.” On that note, I have to say MC5 is probably the least Etymotic-sounding Etymotic IEM I have heard. It has a fairly bright sound with a tiny bit of harshness, but lacks the top end sparkle, crispiness, and more importantly, the capability to pick up micro detail even when compared to the fairly outdated 6 years old ER6i. The base of the sound has changed from ‘neutral while slightly on the thinner and colder side’ to ‘neutral while slightly on the warm yet dry side’. Bass has improved - not quite as tight, really has a sense of good texture and better body, though still far from quantitatively large. Transparency isn’t particularly high, while resolution and speed are average - which probably is the biggest difference between MC5 and other Ety IEM, though not surprising when considered what kind of transducer is in MC5. The real question is however, is it still a true Ety without being really analytical? I guess that answer depends on whether you, as a buyer, are looking forward to a classic Etymotic analytical sound or not. If you are, then MC5 is not for you. If ER6i has better cable, just as long a warranty and with the current $70 street price, I would think it probably will work out better as a representation of what Ety sounds like. Then again, I must stress the point on what kind of sound you are expecting from MC5. Now don’t get me wrong here, the above might sound a little on the negative side but it is not to say MC5 is a bad sounding IEM at all. Leaving the idea of an ‘Ety sound’ behind, MC5 does technically better than ER6i in most accounts, just not vastly better. What it gains from better bass (and in a sense, slightly better supported mid), it loses some of them in weaker detail and resolution. It does portray a fuller and more balanced sound, which I think is more suitable to those who have always wanted an Ety type of neutral sound but don’t like the idea of lacking bass. Soundstage is also improved from ER6i with a more immersive feeling of space, though overall it is still below average, as most Ety do. In sum, I find MC5 to be a decent blends of ‘what is Ety’ and ‘what is not Ety’ - but not quite the ‘next’ Etymotic IEM I was looking forward to. So, does MC5 best in class under $100? As a total package, it is close - perhaps even among some of the best. Does MC5 the best sounding under $100? No, not very close, at least in my opinion. Sub$100 category is the main battlefield in the current IEM war. 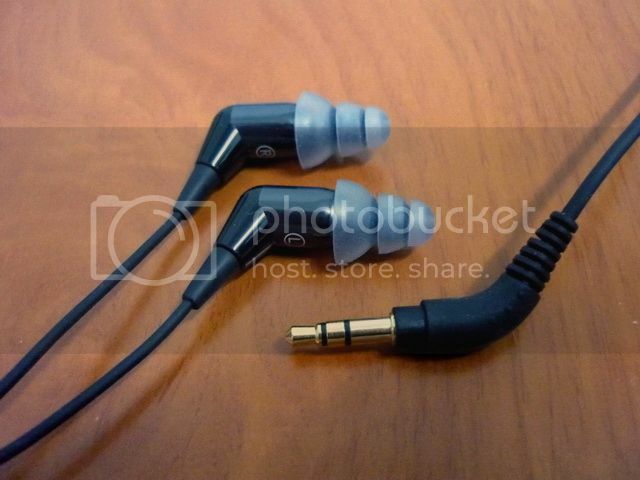 There are plenty of better sounding IEM that are priced similar to MC5. 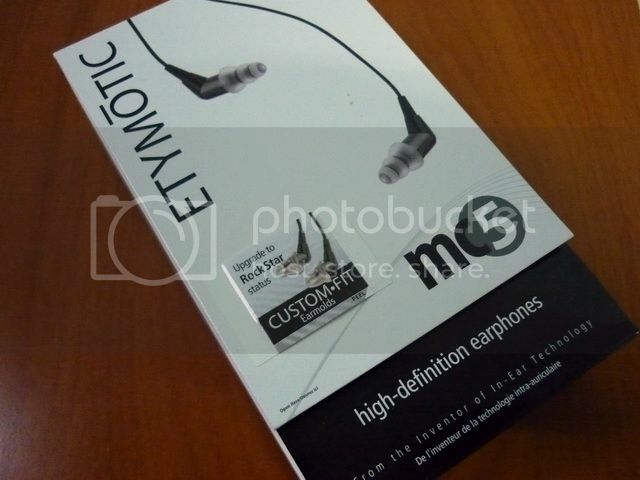 Some IEM with similar sound quality are actually cheaper than MC5, though not quite as strong as a total package. But if you are a serious analytical listener, the more expensive HF5 (around $130) is a very good choice, and you can’t really get much better than the ER4S at around $170, or the slightly less detail but very spacious sounding Phonak PFE at around $150. If you want to keep it under $100, there is still the HifiMan RE0 – not quite as strongly built as MC5, but offer an exceptional detail sound almost rivals the ER4S. 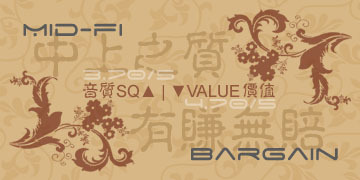 Overall, MC5 is a solid sub$100 offering - but you ought to check around to be sure it is the IEM you are looking for. This above rating is for Etymotic MC5 only and may change without notice. Please refer to the list for a complete listing.